She is so into the big girl underwear she received. Abby is also sporting the Pixie Stick necklace she made. Again - the Pixie Stick necklace. 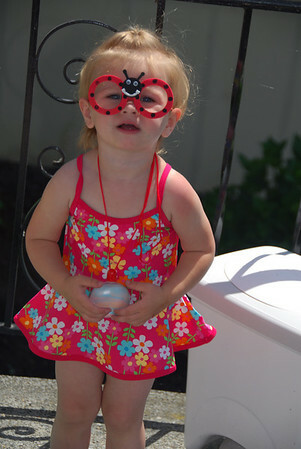 Accompanied by the ladybug glasses she loves and wants to wear everywhere (thanks a lot Hope) and the cute bathing suit from the Millers.